We should've seen this coming, even though we're not convinced it's a great idea: Will Ferrell and Zach Galifianakis squaring off in a film together. Ferrell and Galifianakis will play rival political candidates in a comedy slated to open amid the 2012 election campaign, reported Deadline. The script will be co-written by Chris Henchy ("The Other Guys") and Shawn Harwell (Eastbound and Down"), with Jay Roach directing. Jay Roach: The man's entire career is built almost entirely on the "Meet the Parents" and "Austin Powers" franchises, each of which, while wildly successful, have suffered steady descents. And they don't really strike us as Will's or Zach's flavor. Though Roach did do "Dinner for Schmucks," which was a pleasant surprise and featured a great turn by Galifianakis. 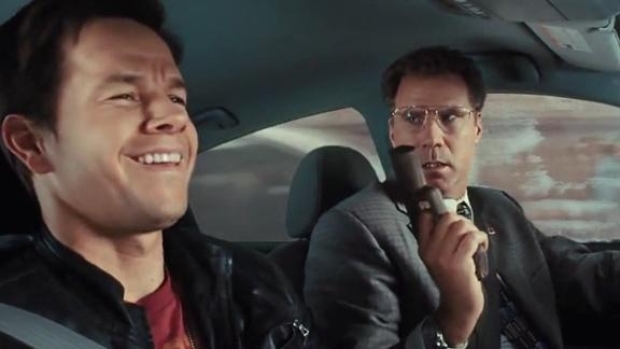 Will Ferrell: He made a nice career recovery this year with "The Other Guys" (hell, we even liked "Megamind"), which was far funnier than we were expecting, and suggested to us that Ferrell's talents are best served when he's got good friend Adam McKay behind the camera. Zach Galifiankais: Maybe the guy's just trying fill his war chest so he can do whatever he damn well pleases for the next three decades, but it seems as if the guy is saying yes to everything. We love his work, we just hope he's not lowering his standards. Talk of him eying the role of "The Incredible Mr. Limpet" makes us a little nervous.